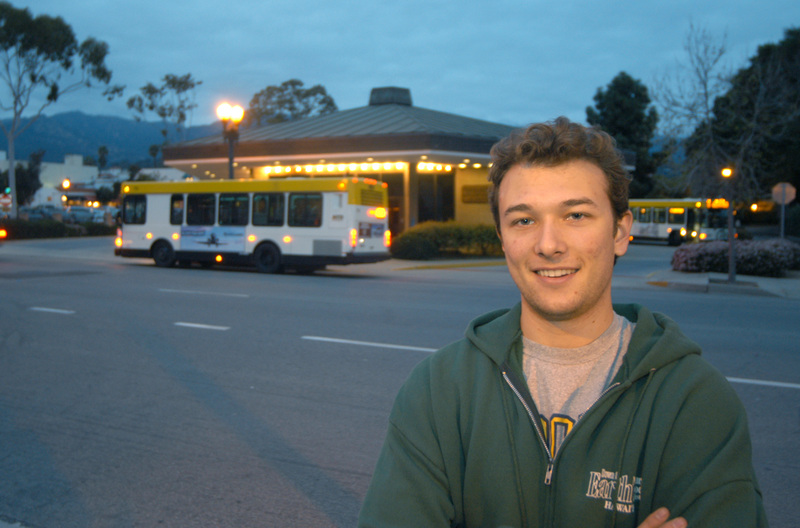 Photo: Paul Wellman Back in his UCSB days, Lyft founder Logan Green wanted to make the world cleaner and more efficient. Lyft went public in late March, ahead of rideshare competitor Uber. However, Lyft is still unprofitable and will remain so for the immediate future. Some drivers worry that Lyft will resort to pay cuts to help balance losses. Just a week ahead of Lyft’s public launch, Uber cut prices from 80 cents per mile to 60 cents for drivers in Los Angeles County. The pay cut led to a strike by both Uber and Lyft drivers. Lyft launched an initial public offering on March 29 with shares priced at $72. Since then, it’s teetered back and forth, reaching a high of $87 after launching; as of print deadline, it hovered around $67. While Lyft had some of the largest revenues ever for any pre-IPO company, it also has some large losses, reported TechCrunch.com. In 2018 the company had revenues of $2.2 billion and $911 million in losses. Lyft cofounder Logan Green attended UCSB, where he was obsessed with making the world “cleaner, greener, and more efficient,” reported the Los Angeles Times. While he resided in Santa Barbara, Green served on the Metropolitan Transit District (MTD) board of directors. The Lyft mission is to “improve people’s lives with the world’s best transportation.” Rideshare companies have put an incredible strain on taxi companies and have left many without work. Rideshare drivers reportedly make less than taxi drivers and rides are less safe. Also, Uber and Lyft have been accused of putting more cars on the road rather than helping alleviate congestion. The Independent was unable to obtain the number of drivers specifically in Santa Barbara, but Lyft reported 1.9 million drivers overall in 2018.